While a myriad of forces pushed the gold price around in 2018, it basically ended the year flat. 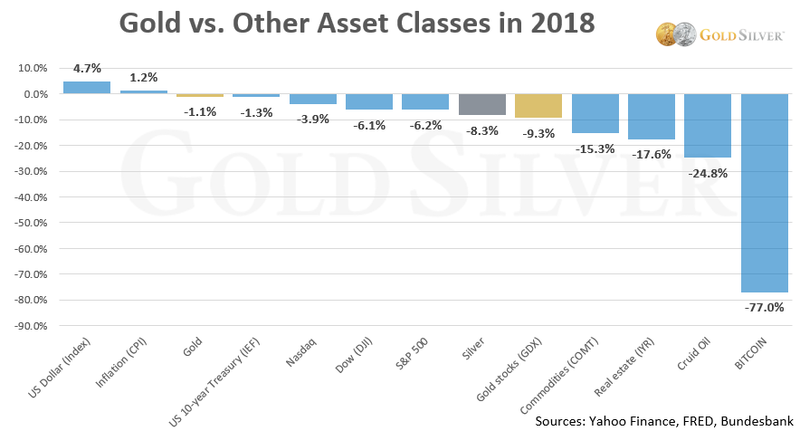 This report recaps the year in gold, shows how it compared to other asset classes in both short and long timeframes, and explores the factors to watch in 2019. The gold price traded in a fairly tight range in the first quarter of 2018, mostly between $1,300 and $1,350. Then it began to decline sharply in the second quarter, largely due to higher equity prices and strong GDP figures. It fell particularly hard from April through August (a seasonally weak period for the yellow metal), declining 15% from $1,365 to an 18-month low of $1,160. Once volatility returned to equity markets and global growth worries emerged, gold gained 10% from August to year end. December saw a 5% rise, gold’s strongest month since January 2017. It ended the year down 1.1%, its first annual decline since 2015. As can be seen, the only asset class that rose last year was the US Dollar (and inflation). Gold was not the only investment that ended the year in negative territory, actually holding up better than most. A strong US dollar, typically a headwind for gold, gained 4.7% in 2018. The US/China trade conflict pushed the US currency higher, along with the steady rise in interest rates. Despite the tug of war in the gold market, volatility measures of the metal were near 10-year lows in 2018, only slightly higher than in 2017. 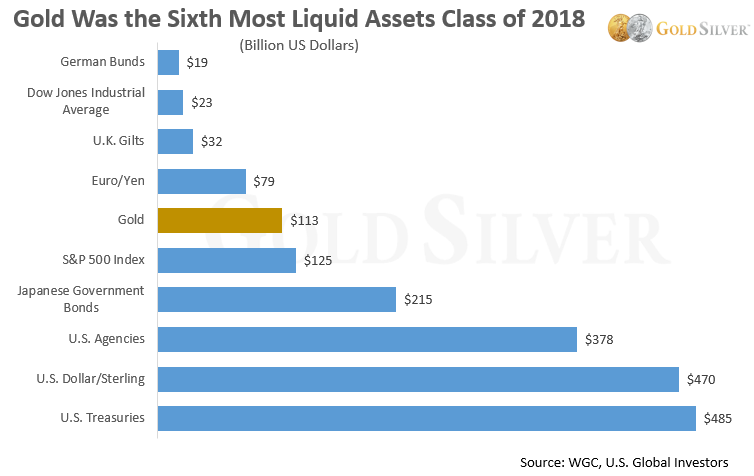 Meanwhile, gold remained one of the most liquid asset classes in 2018. This high liquidity continues to provide a high degree of functionality to investors. With 2018 in the record books, let’s widen the picture to examine gold’s long-term performance. Over the past two decades, gold has experienced both bull and bear markets. Here’s how its performance compares to stocks and bonds since the champagne was popped back on New Year’s Eve 1997. This has practical considerations. 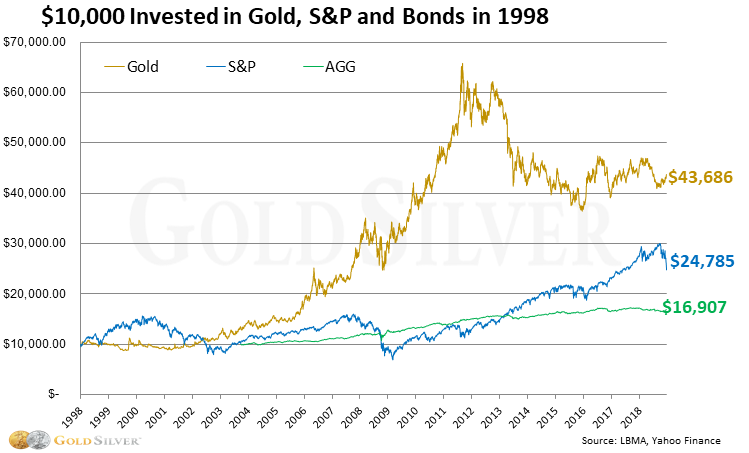 A simple $10,000 buy-and-hold investment in gold in 1998 has yielded a greater return than stock and bond investments. 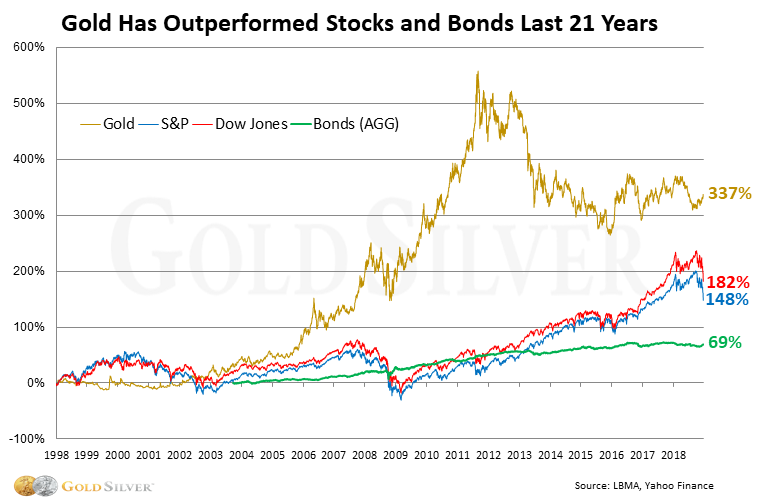 Of course, gold’s greatest strength as an investment is most prominent when it is combined with these assets, since it tends to be inversely correlated, especially with the equity markets. Given that context, what could be ahead for gold this year? 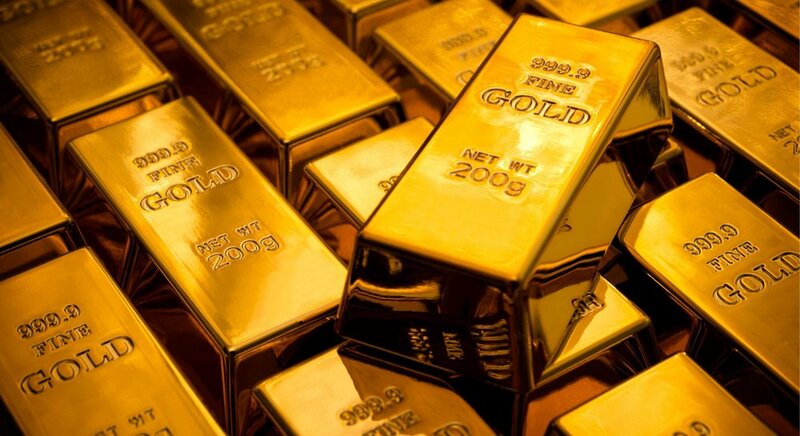 There are a number of factors and events that could potentially influence the gold market in 2019. Here are some of the most likely. A number of analysts have called for the US dollar to depreciate in 2018. Goldman Sachs’ foreign-exchange strategy team believes the greenback is approaching a peak. Credit Agricole sees a weaker dollar after Democrats took control of the House of Representatives. Citi writes that the greenback “may more than reverse 2018’s rally over the medium term.” The bank predicts 12% downside versus other major currencies, citing the flattening yield curve as a signal of weaker economic growth. A weaker US dollar is a favorable condition for gold. When you add the possibilities of a slowing economy, falling oil prices, a stabilizing yuan, and tighter liquidity in U.S. markets, a weaker US dollar seems more likely than a stronger one in 2019. Interest Rates: Will Hikes Slow or Even Stop? Long-term bonds appear to be signaling that the Fed is likely done raising short-term rates. As further evidence, CME Group’s FedWatch Tool showed the first week of January that there was an 87% probability the rate would either stay at the current level or be lower by the end of 2019. Bets the rate would rise over the next 12 months have dropped to just 12%. If US rate raises stop or reverse, gold would be more attractive, especially if real rates remain flat or negative. Globally, the amount of negative-yielding debt climbed over 46% in Q4 2018. The flattening of the yield curve is also something to watch, particularly if it inverts, since this is frequently viewed as a sign of impending recession. 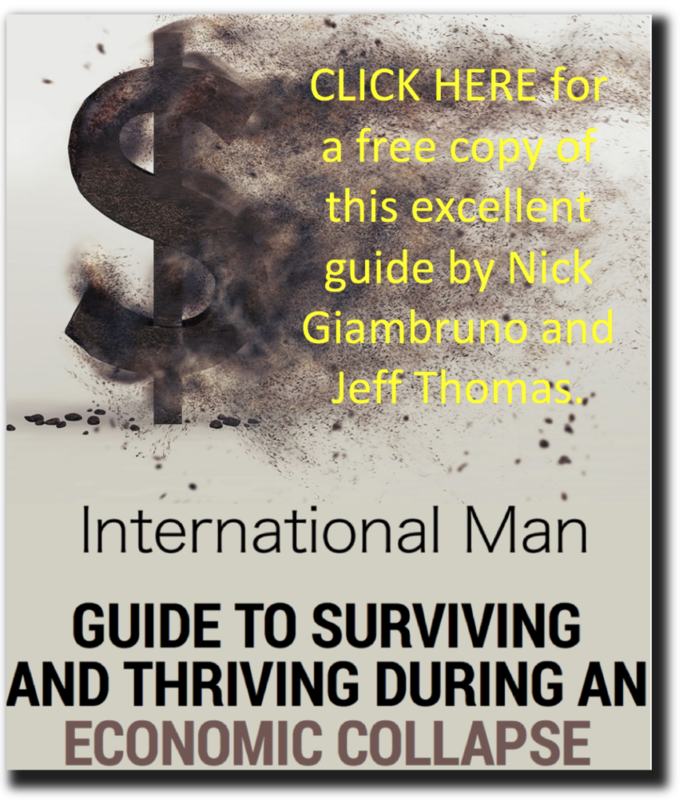 Gold is typically sought as a safe haven during periods of negative economic growth. 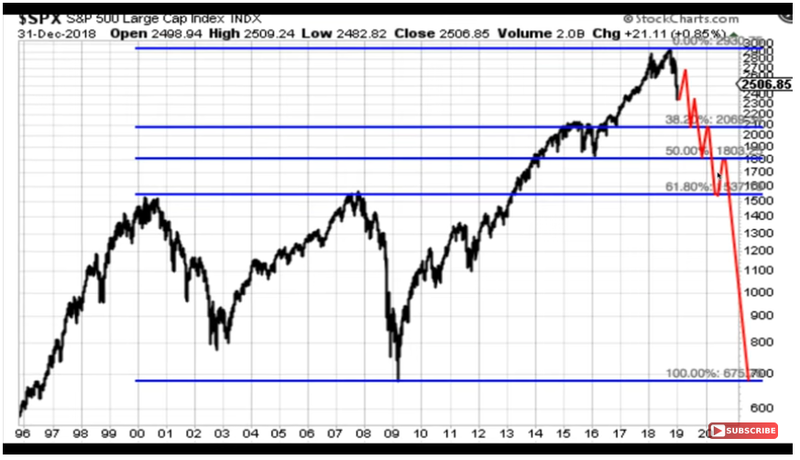 Strong words, but if his diagnosis turns out to be correct, the Fibonacci retracements based on the recent high in the S&P suggest lower stock prices are ahead. Has a bear market already started? According to Hedge Fund Research, hedge funds collectively lost over 7% in 2018, the industry’s worst year since 2011. At a minimum, volatility in the financial markets seems likely to continue. Falling stock prices and market turbulence have historically pushed increasing numbers of investors into the safe haven asset of gold.